Our collection of classics mostly consists out of English, Swedish and Dutch cars. We for example have a Rolls Royce and a Bentley in our collection. On top of that we have two Volvos and several Daffs, a Dutch brand. Aside from those we also have some less known brands such as Gogomobile and Sunbeam. With our collection of classic cars their journeys will be the central point of attention. The cars from our collection have travelled all across the world. An example is the story about a couple that put their young relationship to the test by journeying across Africa for three years. We have also driven a lot of rallies ourselves, these have led to some interesting adventures. The longest rallies we’ve accomplished are one from the Netherlands to China and a trip around Southern America. We will also tell you about the history of the great classic car manufacturers. 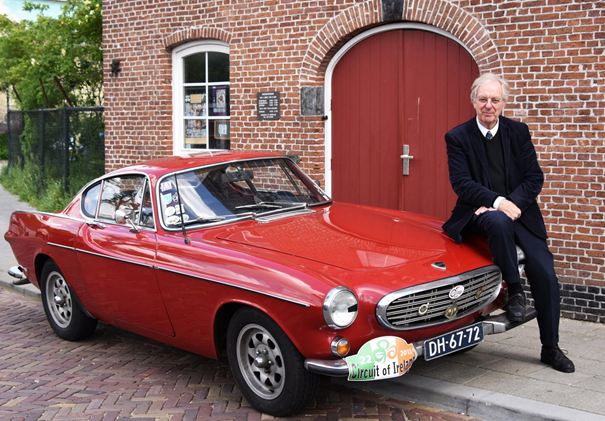 Learn about the successful cooperation between an aristocratic rally enthusiast and a technician, the history of inspector Mores’ car and the tragic story about the fall of Dutch glory . Let us surprise you with our collection of classic cars, a timeless combination of design and engineering.